I've had to keep the lid on this story for over a week but finally the embargo has lifted! 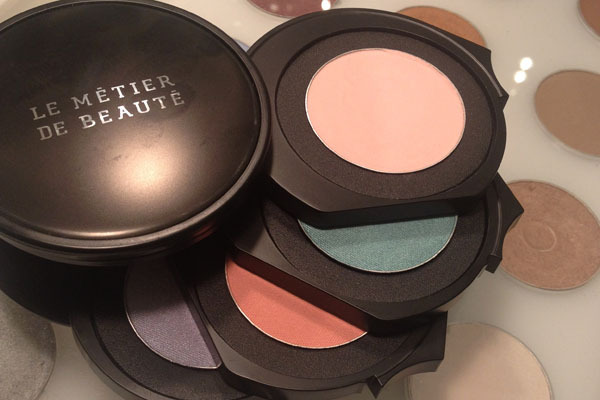 Here's the scoop on the latest Dustin Lujan exclusive eye kit for Le Métier de Beauté, Pallid Incandescents. When Dustin told me he was going to tackle a pastel eye palette, I whooped with joy. 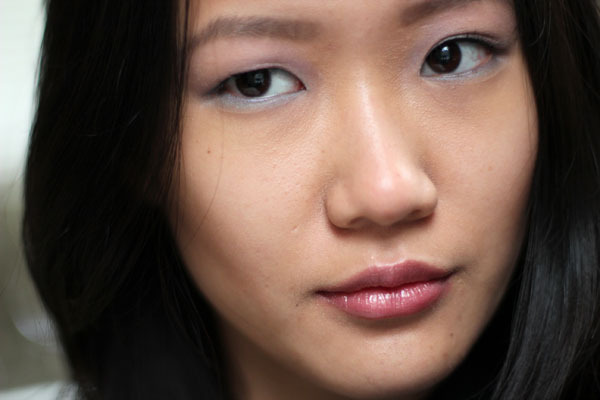 Pastel textures are notoriously fiddly, so the idea of having them in one of the best eye shadow formulas in the market was worth the embarrassment of a skipping Xiao down 8th Avenue (true story. I'm dramatic about makeup like that). A collection of fun summer hues inspired by the complexity of light – soft resplendent hues of nature, such as crepuscular rays to something as whimsical as a sunset, then moving into the night with the vivid electric shock of neon bulbs and glowing street lights. This is truly a look for pastel days and neon nights. 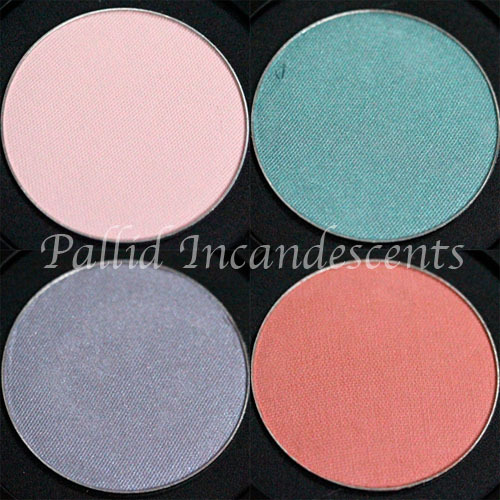 Whether it be out and about as a gleaming goddess or an ethereal vixen prowling the night, the pastel tones are perfect to bring light into the eyes as the colors intermix and illuminate the face. When I swatched and layered it for the first time, I remarked that it was like he was trying to capture the twinkling reflection of a shimmering pond. In the pictures below, I applied the palette in the company's couches de couleurs style, layering the kaleidoscope from top to bottom. 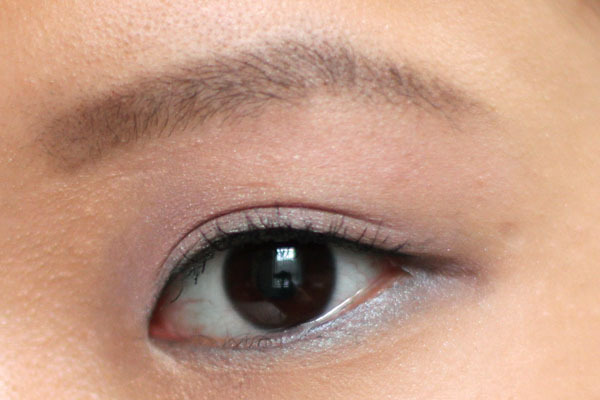 I lined the bottom of the eye with the lilac shade, while focusing the green shade closer to the waterline. 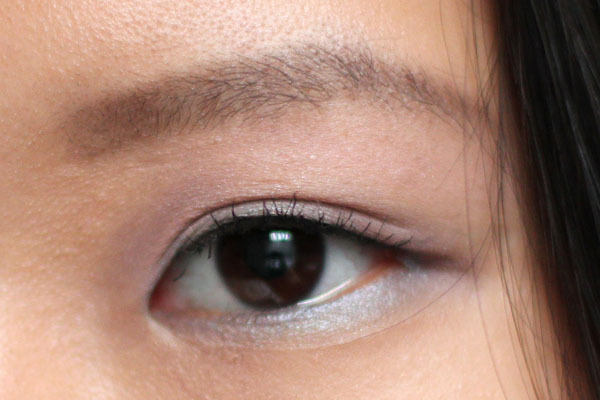 Dustin originally wanted to pair Pallid Incandescents with the Bleu or Aqua Precision Liquid Liner, but I didn't own either so as a concession, I lined my eyes with Noir and patted the green shade over it. The result was (surprisingly) a glowy forest green. 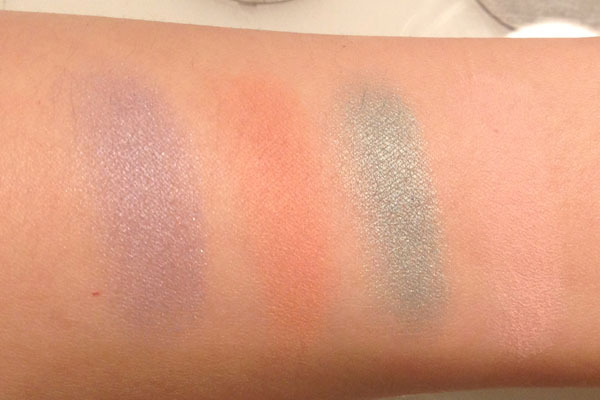 When crafting this palette, Dustin wanted to create four great shades that can be used together or alone. 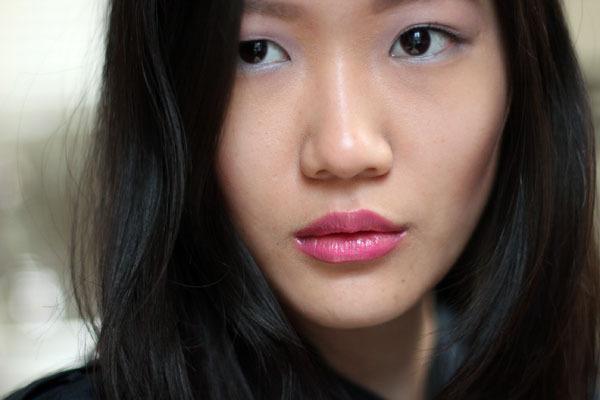 Thus, you could apply Pallid Incandescents couches de couleurs from top to bottom as I did, or in reverse for a more vivid look, or be mindful about color placement and apply it the "traditional" way – matte pink in inner corners, green all over lid, coral in outer v, and the lilac as the accent shade patted in the center of the lid. 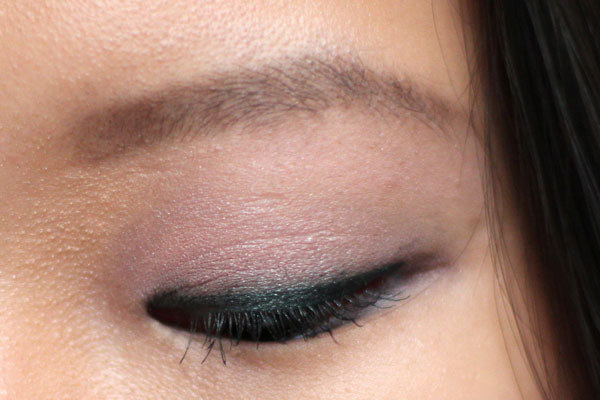 Dustin told me in one of his test looks, he applied the palette over a black base of Noir Precision Liquid Liner to make the colors pop, which I can't wait to try on myself. For daytime, Dustin suggests pairing Pallid Incandescents with the Blush Kaleidoscope and Palm Springs Lipstick topped with Crème Caramel. 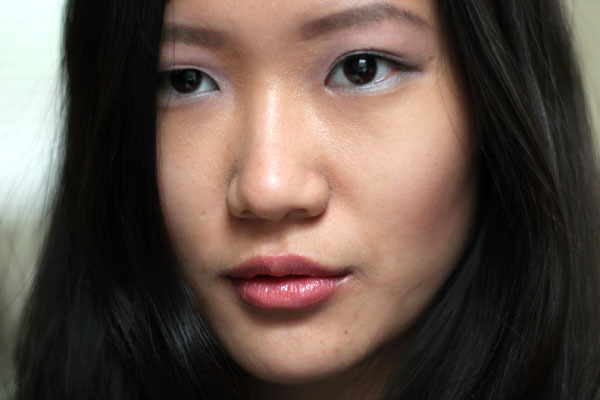 For night, pair it with Radiance Powder Rouge in Fresh and vamp up the look with Uma Paro Lipstick topped with Hibiskiss Sheer Brilliance Lip Gloss. The model in the promo photo is wearing the night look. 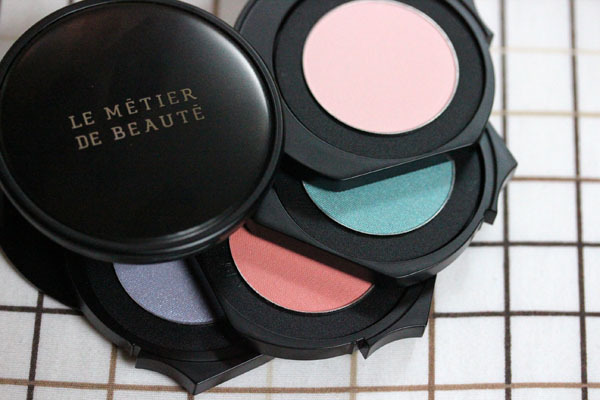 Le Métier de Beauté Pallid Incandescents retails for $95 and will be available first week of July exclusively at Bergdorf Goodman. Last I heard, there will only be a hundred units produced. I'm sure Dustin is taking pre-orders, so call him at 212.872.8612 and let him know I sent you! Lovely colors, I really like them. Thank u for e exciting news! the green shade looks totally unique n delicious! would u mind comparing if the purple-lilac is same as that in penelope? and the pink does not resemble that in splendid frost? the 1st shade looks like the 1st in northern lights? sorry for the dampening questions, i've too many dupes from le metier and a tight budget due to medical leave. eunice- Isn't it such a delectable turquoise shade? :D The third shade is actually a matte coral, which doesn't exist in any other eye kit, while the first shade is a matte pastel pink. 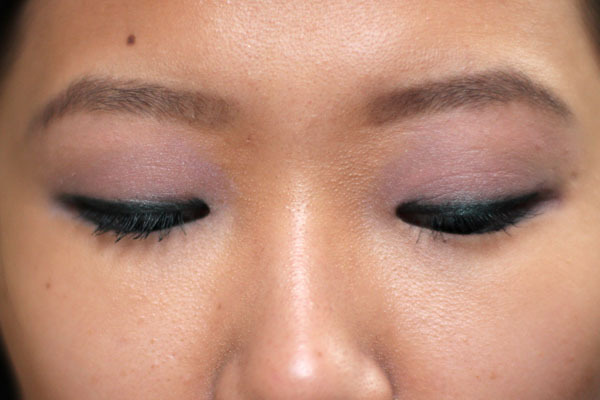 The Northern Lights pink contains shimmer. As for the lilac, it is very very similar, but I think Penelope's version is warmer than this one. Either way, the turquoise and coral are absolutely unique throughout the line and I think they're the best shades! Seriously--wow. Each individual shade is beautiful--but together, they're breathtaking!!! This definitely warrants an overseas call to Dustin from me! In love! sold now the question of how many i want. At least this one is so different. Way to go Dustin! Thanks for the sneak peak- this looks like a unique eye kit from LMdB- similar to Nars in the unexpected mix of colour! Hi Xiao! That is a gorgeous looking palette. LOVE how your lower lash line GLOWS!! So pretty!